With Readly you can read Well Fed: Paleo Recipes and thousands of other magazines on your tablet and smartphone. Get access to all with just one subscription. New releases and back issues – all included. 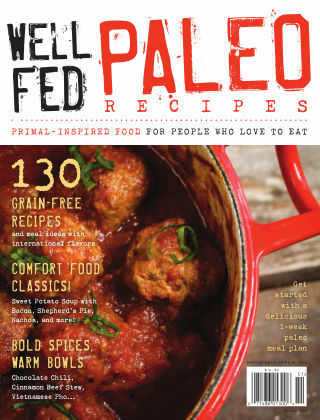 Well Fed: Paleo Recipes is a magazine cook book packed with recipes for food that you can eat every day. Get Healthy with easy tips to make sure it takes as little time as possible. Whether you are into the Paleo lifestyle or not this bookazine is an excellent addition to your bookshelf.